Introduced at Interieur exhibition in Kortijk, Belgium, this atmospheric lamp uses condensed water to diffuse light. It consists of an aluminium base holding a light source and a hand blown glass bulb, containing an inexhaustible water reserve. 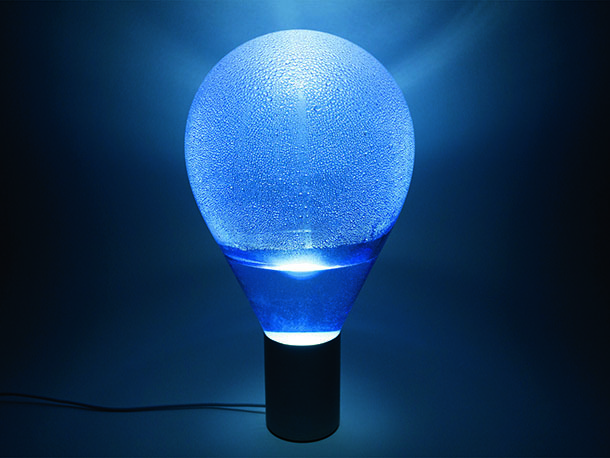 When lit, the water gradually evaporates and starts condensing on the inner walls of the bulb.